The 2019 class is currently full. To be added to the waiting list, please complete and submit the WAITING LIST FORM found by clicking here. 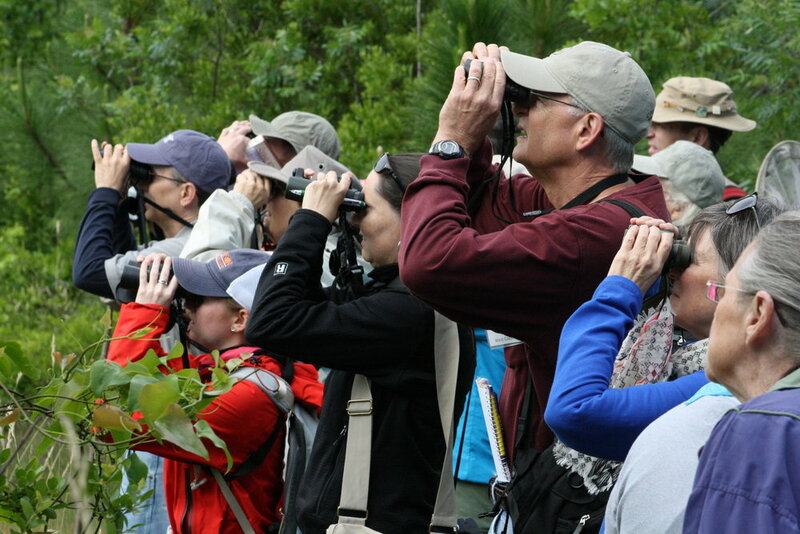 Participants completing the course will receive South Carolina Master Naturalist certification and will be eligible to join a local chapter and participate in advanced training courses. Master Naturalist graduates are encouraged to log 30 hours of volunteer service for each subsequent year to maintain their certification. Where: Classes will be held at parks and natural areas throughout the Midlands, and students will meet at the various locations. Most sites are within one hour of Columbia. Students are responsible for travel to and from field sites, although carpooling is encouraged. When: 12 classes are held during each session - the next session will be held in Spring 2019, beginning March 15th, meeting every Friday through May 31st. At this time, only one session is held each year, in the spring. Classes generally begin at 9:00 am at varying locations listed above. Ending times may vary depending on the field trip, but generally between 1:00-3:00 pm. Classes will be held rain or shine. Who: The course is open to anyone, ages 18 and up. No pre-requisites or prior knowledge required. Participants come from all walks of life. Students will start with the basics. PARTICIPANTS MUST BE IN GOOD PHYSICAL SHAPE - MANY CLASSES INVOLVE LENGTHY HIKES OF SEVERAL MILES WITH MODERATE DIFFICULTY. Because you are training to be naturalists, you will traverse the wild country and should be prepared to encounter moderate heat, briars, mosquitoes, chiggers, ticks, etc. DO NOT SIGN UP FOR THIS CLASS IF YOU CANNOT SUSTAIN THESE CONDITIONS. We have considerable demand for this class - please ensure that you can attend the majority of classes before registering. Preparation: Students will need to pack a lunch and be prepared for a day in the field. Please dress for the weather and bring water, sunscreen & insect repellent. Long pants are recommended, as well as good walking shoes. Native Trees of the Southeast, by Kirkman, et al. Thank you for your interest in this class! We will send you an email in the fall when we have details ready to announce for the next spring's class. CLICK HERE for information on the state-wide SC Master Naturalist program through Clemson University and classes available in other parts of the state. Please CLICK HERE to view some photos from the 2018 Midlands Master Naturalist Class.